Is there life beyond the grave? Is it reasonable to believe in the afterlife? If so, how should we act on those beliefs? Best-selling author Dinesh D'Souza undertakes an unprecedented voyage of intellectual discovery to reveal the truth about life, death and beyond. Unlike many books about the afterlife, Life After Death makes no appeal to religious faith, divine revelation, or sacred texts. 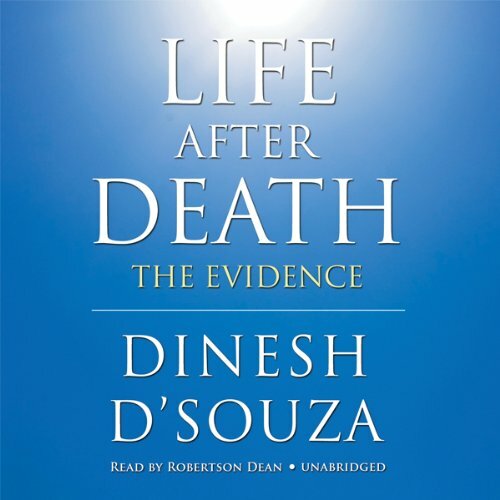 Drawing on some of the most powerful theories and trends in physics, evolutionary biology, science, philosophy, and psychology, D'Souza shows why the atheist critique of immortality is irrational - and draws the striking conclusion that it is reasonable to believe in life after death. He concludes by showing how life after death can give depth and significance to this life, a path to happiness, and reason for hope. View More In Christian Living.